Vickie van Uden is regarded as one of London’s most creative performers and teachers. She is a member of the trumpet quartet, Bella Tromba, and as part of a diverse performing career she has made TV appearances with pop artists McFly and the Sugababes as well as being invited to perform on the TV show, Britain’s Got Talent. She is also Musical Director of Richmond Brass Band and Head of Brass for Richmond Music Trust. To find out more about the life of a professional brass musician we asked Vickie to tell us about her career, how she got where she is today, and what she loves about what she does. Can you tell us a bit about your career to date? I am a member of Bella Tromba, a trumpet quartet. Bella Tromba’s performances have reached audiences internationally for over 10 years. Following its debut at the Purcell Room for the Park Lane Group in 2007, the quartet has performed at the Cheltenham, Henley and St Davids' Festivals, and at the National Portrait Gallery. We have also broadcast live for BBC Radio and Classic FM. I am also Head of Brass for Richmond Music Trust, which provides instrumental tuition to pupils in schools and music centres, and runs a wide range of ensembles. Alongside these two huge aspects of my life I am also Musical Director of Richmond Brass Band and a visiting music teacher at The Mall School, Twickenham. What sort of education did you have on the trumpet? Born in Salford in 1981, I joined my local brass band (it just so happened that the Musical Director was my grandfather!) on cornet at the age of 11. From there, I progressed through my musical education at Chetham's School of Music where I also took up the trumpet and flugelhorn. From Chetham’s I moved to London and studied with Anne McAneney at the Guildhall School of Music and Drama and subsequently with the late James Watson at the Royal Academy of Music, where Bella Tromba was formed. What was it that made you want to turn learning the trumpet into a career? 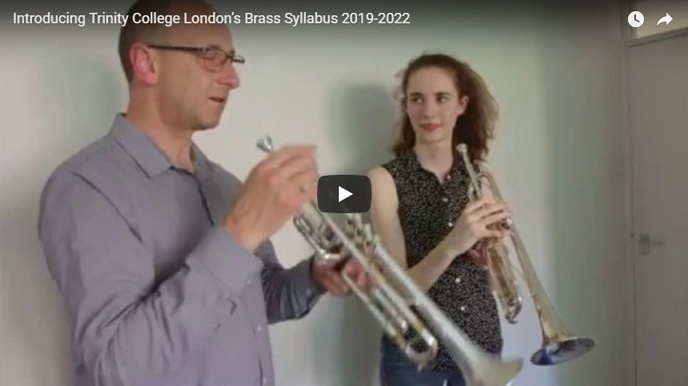 Immediately after leaving the Royal Academy of Music, I was really interested in brass education and took on a role as an associate teacher at the Richmond Music Trust, teaching brass instruments across the Richmond Borough. Alongside this, Bella Tromba travelled regularly across the UK working for the organisation Live Music Now. This was paramount in my decision to become a professional musician as I got the performer’s bug! How did you first get into the industry as a professional? Bella Tromba became well-established within the first two years of being founded - alongside a busy career as a freelance trumpet player my schedule was filled weekly with concerts, education and workshops. What inspired you to follow the career path that you have? Being from Salford, there was always a heavy influence from the brass band world from a young age. My grandfather was a very fine cornet player as well as a highly respected conductor, and my dad played cornet in brass band and trumpet in dance bands. Highlights include meeting Prince Charles, playing for many high-profile events including venues such as Buckingham Palace and Windsor Castle within my work as a chamber musician, and playing on stage at the Royal Albert Hall for the Brass Band National Finals. So far in my career I have reached a new high being appointed Musical Director of the newly formed Richmond Brass Band. Although the band was only formed in October 2017, we have already performed at some fabulous venues such as The Landmarks Centre, Teddington, the new theatre at The Exchange, Twickenham and we’re soon to be performing at Twickenham Stadium. There are many more exciting projects to come, some of which I am forbidden to talk about yet! Watch this space! What do you think are the most important skills needed by a trumpet player? The most important skills needed by a trumpet player I think could apply to any musician: practise diligently, always be on time. Be kind to all around you. What advice would you give to someone learning the trumpet? Again, practise diligently, accept all help from any peers and teachers. Always help others. What advice would you give to someone looking to make it as a professional in the industry? Always chase your dream. Freelance work can sometimes be a challenging business but with enough belief in yourself as a player and all-round musician you will succeed. Be highly disciplined in all you do and always be professional, arrive in good time for any occasion and be as fully prepared as you can be.